If you’re going to be getting your credit score up, the first place you need to do is know where you stand. While it’d be ideal to boost your score from a 650 to nearly perfect, that could take years. However, that’s not to say there isn’t room for improvements, which first comes with knowing what your stats are compared to the average. Believe it or not, according to Value Penguin, the average credit score comes out to about 695, which is a pretty available number depending on your income, as well as your debt utilization. For example, according to NerdWallet, the average household has around $15,983 in credit card debt. For a couple making a combined income over $150,000, this is pretty manageable under normal financial situations. Essentially, debt utilization is all about the amount of debt you utilize and can pay back practically monthly, which can be a hard balance starting out. Finally, although it might sound silly, always check to see if any old or outstanding debts are affecting your credit. While most of us assume these are automatically taken care of, you’d be surprised at what might be lingering on your credit report. Furthermore, credit reporting isn’t a perfect system, which is why you should check out if there are any outstanding errors in your report. Overall, the better handle you can grasp on where your debts and credit score lie, the more likely you’ll be in trying to improve. Establishing where you should improve your credit practices is two-fold. The first aspect is figuring out how to knock out debt, while the other element is how you can utilize certain perks of credit to improve your quality of life or income. For example, as noted by CreditCards.com, 42 percent of Americans said they’d use their credit cards for booking travel, which could be due to the benefit of frequent flyer miles. While uses like that can be great, when you’re utilizing services like that more than average, focusing on reducing debt would be more advantageous than the benefits of using the card. Make a list of what debt you currently owe, as well as which ones are most negatively affecting your credit. The more late payments or higher interest rates/fees the source has, the more likely it’s bringing your score down, which you should knock out first. Also, knocking out any small debts at the beginning can also be useful in bringing down your overall debt-to-income ratio. And lastly, even when it’s all said and done, credit can take awhile to build, which is why for example the average millennials score is 634 (as noted by CreditDonkey), which is lower than the 695 mentioned above. Finally, as one of the biggest reasons people fall behind on debt is because of bad financial habits, this is something many need to break. Although we’d all love for our credit score to be boosted quickly, the truth of the matter is that it’s going to take some time; in fact, as noted by debt.com, it takes an average between 3 to 6 months. With that being said, this shouldn’t be a temporary fix, but rather implementing good behaviors that last a lifetime. The first piece you should look into is how you look at your debt utilization ratio and how you can behave responsibly with that. For example, a favorite healthy habit is using one credit card for monthly expenses with another as a backup for an emergency, which goes to show that a significant mistake most make is spending money they don’t have. Additionally, do your best to save money as a percentage of your income, as well as try to knock out debts in large chunks. Remember, the goal is to make these somewhat big picture habits some you keep for a lifetime, so focus your efforts on one day at a time to ensure long-term success. 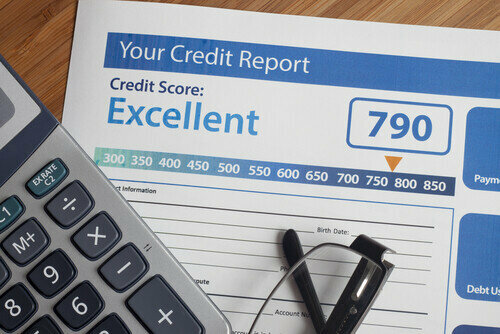 What are some strategies you’ve used to up your credit score? Comment with your answers below!